During the knockout stages of the Champions League, there has been a tendency for Liverpool to bring about a feeling like no other. Ask any red their abiding memory of the Champions league quarter-final against Juventus in 2005 and most will almost certainly fondly recall Luis Garcia’s delicious dipping half volley past the previously imperious Gianluigi Buffon. What a goal. What a night. The ultimately glorious outcome of that tie causes those positive memories to be that bit more vivid. The noise, the colours, the literally shaking TV-cameras. Consequently, the memories of how it could have all been so different tend to fade away, to be filed in some obscure cerebral filing cabinet. Having conceded a late away goal when Scott Carson fumbled Fabio Cannavaro’s headed effort into the Anfield Road net, the reds went into the second leg at the Stadio Delle Alpi one Juventus goal from crashing out of the competition on away goals. Rafa Benitez’s side, minus their talismanic number eight, braved a Juventus onslaught and slugged it out to a stalemate that, on paper, belied just how close we came to failure. The sheer terror of Fabio Cannavaro’s header pin-balling for what seemed like an eternity off a combination of Djimi Traore and the post before a grateful Jerzy Dudek smothered the ball on the touchline. A feeling like no other, that feeling. Collective hearts were still finding their way back down Kopite digestive tracts when a fresh-faced and ponytail-free Zlatan Ibrahimović met a scything low cross from the left wing from Gianluca Zambrotta, before cannoning his effort into the skies from literally six yards out. As he jumped and crashed his arms off the crossbar in frustration at the missed opportunity, there it was again… that feeling. My word, we rode our luck that tie. 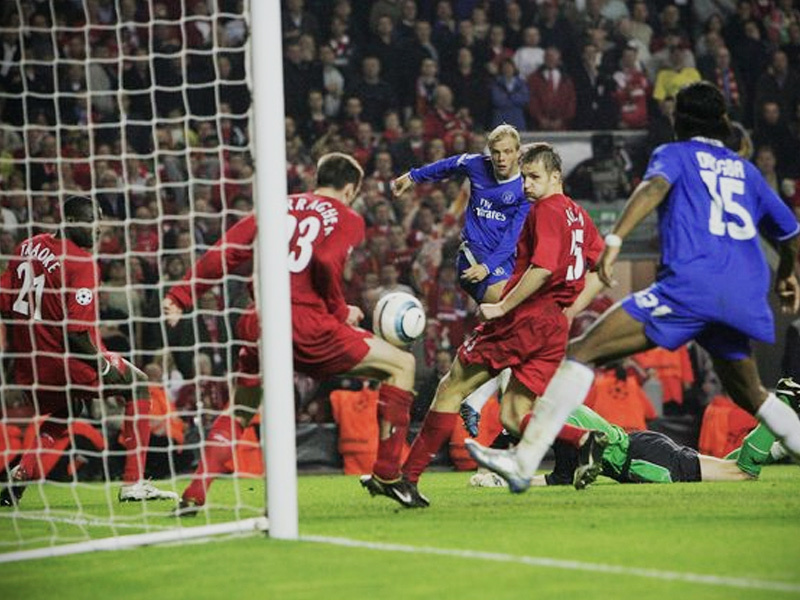 Likewise, the now stock image of the fabled semi-final second leg against Jose Mourinho’s Chelsea the same year is that of our diminutive number 10 deftly lifting the ball past the sprawling Petr Cech and John Terry before William Gallas valiantly trying, and failing, to hook it away. Garcia himself was half way around the pitch in celebration before Lubos Michel confirmed what the Kop already knew… GOAL!. The seismic eruption of noise that followed was truly breath-taking. Within a couple of hours, Liverpool had booked their place in Istanbul. However, minutes before the final whistle that same night, there it was again… that feeling. Oh my good god, he’s missed. Our luck was well and truly rode that night and the explosion of emotion that followed at the final whistle has since passed into Anfield folklore. This was my generation’s Inter Milan, our St Etienne. Nevertheless, the luck riding wasn’t over. For every image of Steven Gerrard’s uncharacteristically towering header into the far corner, of Vladimir Smicer’s daisy cutter from the edge of the box, and Xabi Alonso’s second bite at the cherry, there was Djimi Traore’s herculean goal line-clearance, Jamie Carragher’s cramp-inducing last ditch block and Jerzy Dudek’s utterly ridiculous double save. With every such moment, there it was again. That feeling. A feeling of almost pure terror that ultimately serves only to make the success that follows that bit sweeter. When Bobby Firmino made it five against Roma, I turned to my nine-year old and told him that this is not usually how European Cup semi-finals go. I insisted that they were usually far more tense affairs. I tried to describe the feeling to him. True to form, the reds have only gone and made the return leg interesting. Two away goals from Edin Dzeko and Diego Perrotti have ensured that we may just have to ride our luck once again in the Stadio Olimpico to book our place in Kiev. 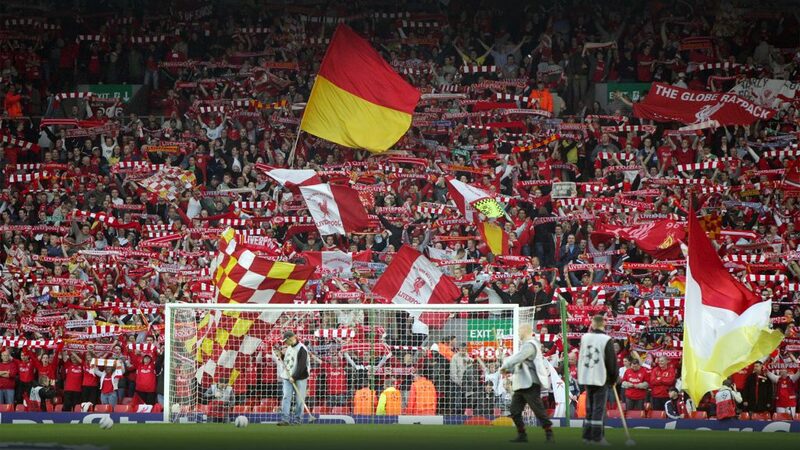 In Wednesday’s second leg, the reds will almost certainly serve up some more heart-stopping moments. And do you know what? I wouldn’t have it any other way.